Coral Expeditions knows the UNESCO World Heritage listed Great Barrier Reef better than most, having pioneered overnight cruises on the outer reef more than 30 years ago. Sailing from their homeport of Cairns, Queensland, their bespoke expedition vessel, Coral Expeditions II takes a maximum of just 44 guests in relaxed comfort on year-round three, four or seven night expeditions that encompass the best of the reef, rainforests and island. The tailor-made itineraries venturing to the pristine outer reef, and exclusive mooring destinations, allow them to offer a unique and unmatched experience of the Reef. Their expedition voyages are truly immersive, venturing far beyond the day-trips to the underwater wonderland that you have long imagined. Out there, your only companions might be a Loggerhead Turtle or Giant Skink. 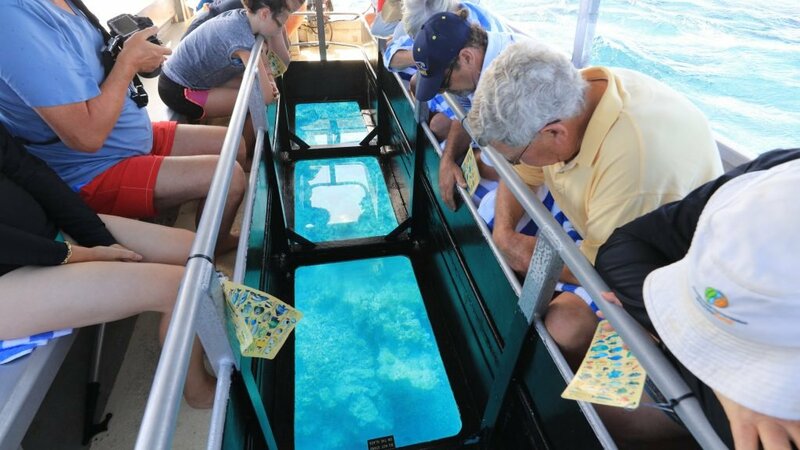 Resident Marine Biologists bring the species to life, with touch and learn displays onboard and in the water. Divers and snorkellers will delight in some of the world’s finest untouched coral gardens. All guests on board will be rendered speechless by the pure azures of the waters on this UNESCO World Heritage wonderland.